Risotto is traditionally made with arborio rice, prized for its toothy texture and high starch content which, while slowly released during the course of cooking, gives the dish its creamy texture. That said, you can make risotto with other grains, like in this multigrain risotto. You can even make it with pasta. Asparagus and Sugar Snap Pea Pasta, for example, treats the pasta like rice in risotto, sautéing it first and then cooking it in broth rather than boiling it in copious amounts of salted water. 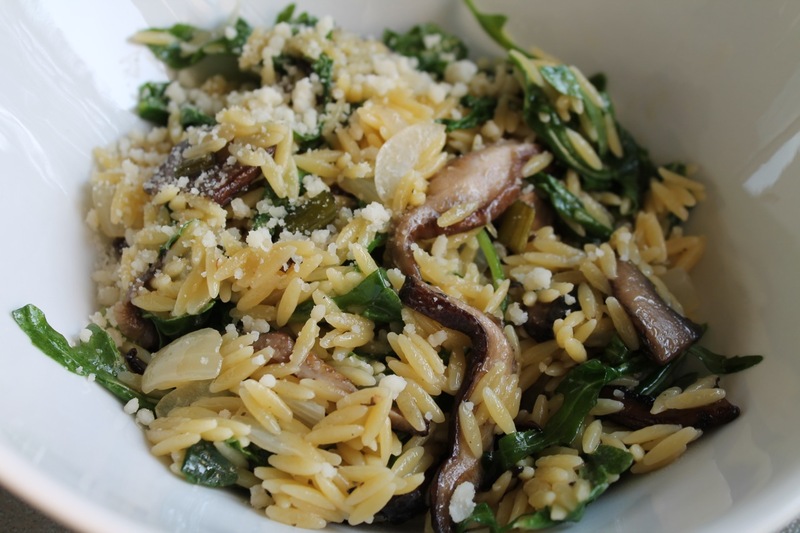 Orzo pasta looks a lot like rice, so make a risotto-style pasta with it seems a natural fit. This recipe I found from Aureole's chef Dante Boccuzzi was exactly what I was looking for. When I made this, garlic scapes were still available. Since they probably aren't by now, I suggest substituting a few minced cloves of regular garlic and something that would give a similar "green" flavor like scallions. 1. Heat 2 tbsp. olive oil and 1 tbsp. butter in a dutch oven or large sauté pan over medium heat. Add the onion and cook until it is translucent, about 8 minutes. Season with salt and pepper. 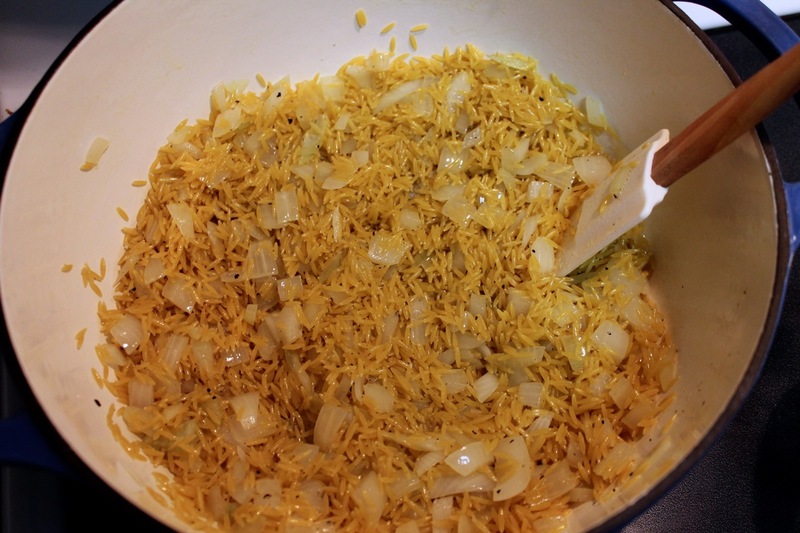 Add the orzo pasta to the onion and sauté another 5 minutes to lightly toast the pasta. Gradually add the stock to the pasta (which should cover the pasta completely, add a little more stock or water if necessary to cover pasta). Reduce heat to low and simmer, stirring frequently to avoid pasta sticking, until the pasta is cooked al dente (i.e. cooked through but still a little chewy). 2. In a large sauté pan, heat the remaining 2 tbsp. olive oil and 1 tbsp. of butter over medium heat. Add the mushrooms and garlic scapes (or minced garlic) and sauté until golden brown (if using scallions add them after sautéing the mushrooms). 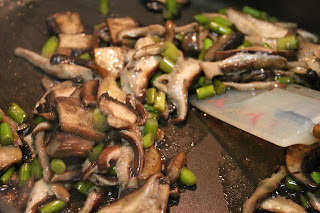 Add the mushrooms to the cooked pasta. 3. Stir in the final tbsp. of butter, the parmesan and baby arugula. Serve risotto in bowls topped with additional grated parmesan. The mushrooms are nice, but I could bowl after bowl of just risotto and onion. Yum!